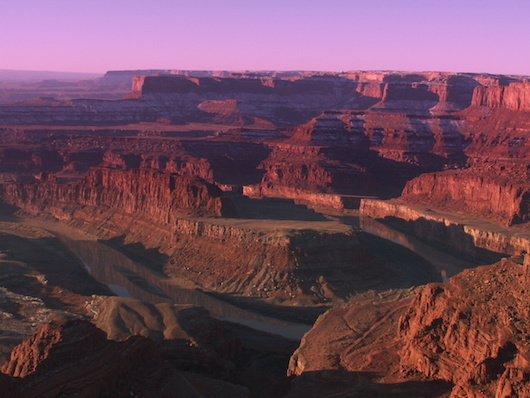 Dead Horse Point State Park features wonderful 360-degree views from its perch 2,000 feet above the Colorado River. 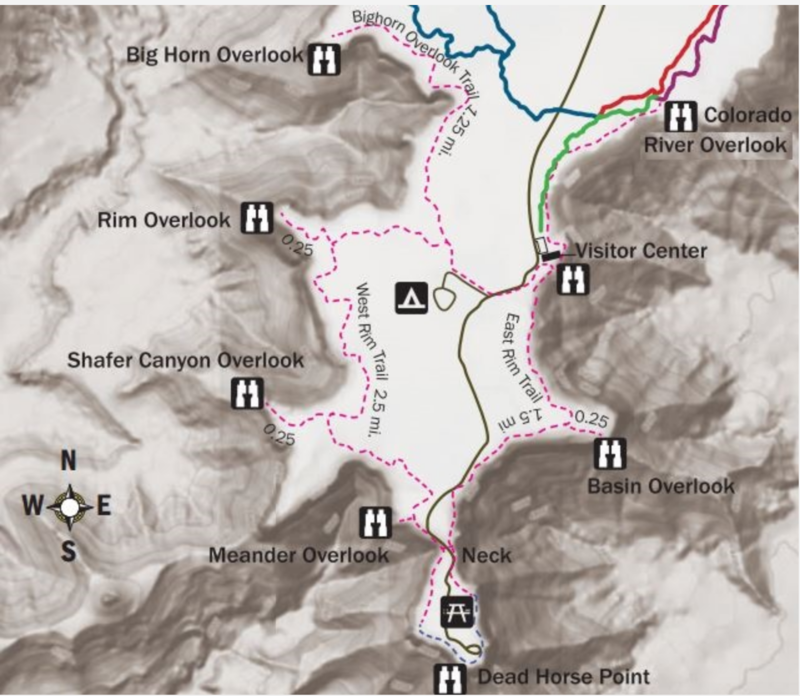 We recommend this park as an ‘intro’ trail running spot, as its 7 miles of trails are are flatter and wider than many of the other trails in Moab. The signature run is the East Rim Trail between the Visitor Center and Dead Horse Point, which is a 3-mile out and back. Another option is to combine it with the West Rim Trail, making for a 4-mile loop. This link has details on the trails, including detailed descriptions. Note: elevation a factor here. Fee required.